The acclaim for Pirate Life shows no sign of abating. Last night, the team at Beer Cartel announced the results of comfortably the biggest survey of Australian craft beer drinkers ever conducted. Among the findings was the news that the Adelaide-based brewery was rated best in the country by the 17,000-plus people who completed the survey, taking top spot from last year's number one, Feral. 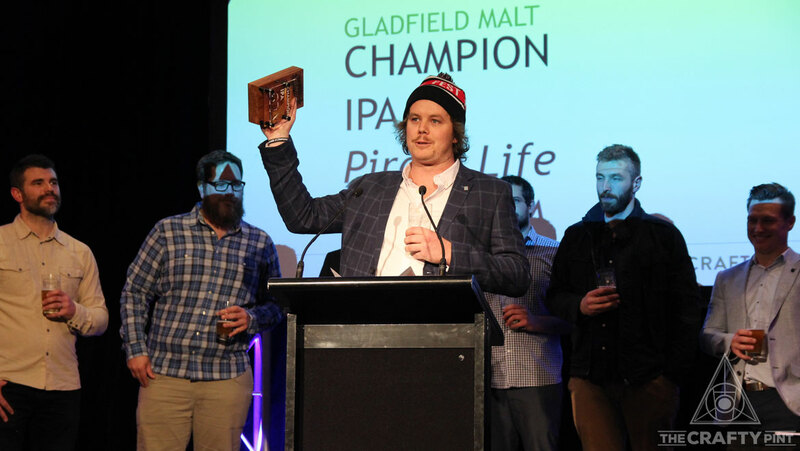 In just two-and-a-half years, Pirate Life has claimed a cabinet full of medals and trophies for its beers, its branding and as a champion brewery too. And, says co-founder and joint head brewer Red Proudfoot, coming top in a public survey like this means a great deal to them. "These kind of things, where punters are going out of their way to find a website and put their two bob in, are a lot nicer to do well in than the major judgings," he says. "[Major beer competitions] are good for seeing where your beer is sitting in a pool of 500 other beers. To do well at these can be a bit of pot luck; to do consistently well shows that you are generally getting things right. "But to do well in these [surveys] is really positive. And, each year that they do it, it will have more and more relevance if it continues to grow." Aside from his brewery's own success, he said the most reassuring outcome from the survey was the feeling among the vast majority of drinkers – no less than 95 percent – that the quality of Australian beer was improving. "That's something I've probably noticed over the last three to five years," says Red. 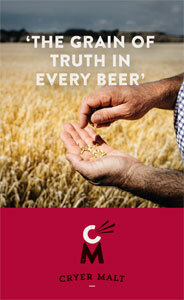 "The standard has been improving quite a lot, which can only be good for the beer drinking public – of which I'm one. We get out and drink beers and it's good that you can go to a set of taps and trust there's a number of good beers there and you're not going to get stung." Jack Cameron of Pirate Life collecting the 2017 Craft Beer Awards trophy for Best IPA with the brewery team. Red is second from left. As well as winning over beer drinkers across Australia, Pirate Life has been exploring the international market; they have beer in the likes of New Zealand, Hong Kong and Singapore as well as the UK, which they are using as a base to explore the broader European market too. But it's far closer to home that their future plans will be making people giddy. 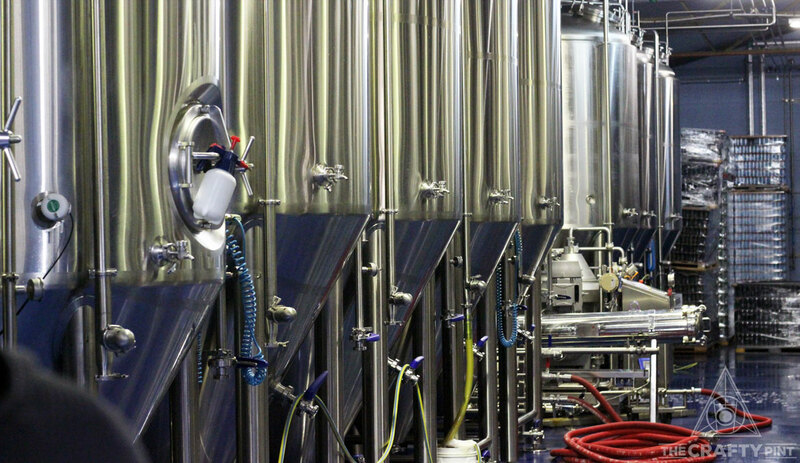 Last year, they set their sights on Port Adelaide and, according to Red, by this time next year, the intention is to have a new, far larger brewery than their current one in Hindmarsh up and running, with a venue to follow soon afterwards on the same site. "It's coming along pretty well," says Red. "All the planning is in place and the funding is looking good. It's an old wool site and will be an absolute cracker of a place." While they now have a tasting room at their original brewery, hospitality has been very much left on the backburner as they focused predominantly on production and distribution. But, as you might expect, when they do enter the hospo world, there will be no half measures; the plan is for a venue with a capacity of 200 to 250. "Back when we were planning to launch Pirate Life, we made a very conscious decision to 100 percent focus on the beer," says Red. "If the three of us had started looking at front of house we would have fucked up both of them because it's really difficult to do both. "The brewery pretty much runs itself now – we've got a good crew. We are bigger now, too, and have more resources to be able to, more than likely, get in a hospitality professional to run it [and] get a good chef too and support them." As for the upcoming brewery build, he admits it's come around rather sooner than expected. Prior to launching Pirate Life with his mate Jack Cameron and Jack's dad Michael, Red worked at Cheeky Monkey in the Margaret River, overseeing the design and commissioning of that brewery. It will mean he has been involved in building and launching three breweries of increasing size in little more than half a decade. "I thought it would be five years before we needed to build another one," he says of Pirate Life's accelerated plans. "It's a bit easier now because we've got the contacts and relationships with the boiler and water filtration people and so on. And you always need new challenges. Inside the Hindmarsh brewery that could soon be Pirate Life's home for experimental, small batch brewing. "The idea is that the lion's share will be brewed at the new plant because it will be more efficient. The intention is to keep [Hindmarsh] going for the first few years then assess if it's worthwhile. "Being able to brew some interesting beers and starting playing around with mixed fermentation is something we've never had that luxury of capacity to do. And having a tap room with 20-odd taps, to be able to brew small batch beers at Hindmarsh and send kegs to Port Adelaide to pour over the bar, [means we] should be able to really start driving some new flavours." The hope is that their move to Port Adelaide will help boost the regeneration of the area that is already underway. The team behind leading Adelaide small bars Clever Little Tailor and Pink Moon Saloon has taken over an old hotel in the area that has lain empty for nearly 20 years. It's close to the site of the forthcoming brewery and Pirate Life plans to brew a beer for them when it reopens. "The intention is to raise the profile of Port Adelaide," says Red. "I hope we've got support from the state government. The buildings there are so lovely – it's really quite a pretty place but hasn't had much of a run. "Everyone has said Port Adelaide will be huge one day and it hasn't happened. I think it's finally starting to turn." You can read our story on the results of the Beer Cartel survey here or jump straight to the full results on their website here.